I am training for the Amsterdam marathon. Yes I am. Running is a learned skill; a kind of bodily language. Marathon running is one kind of running. And learning to do a marathon, ‘to marathon’, requires a variety of running skills and an adequate level of fitness. Marathon running makes demands upon an individual; and the individual performs the marathon as a mass event. 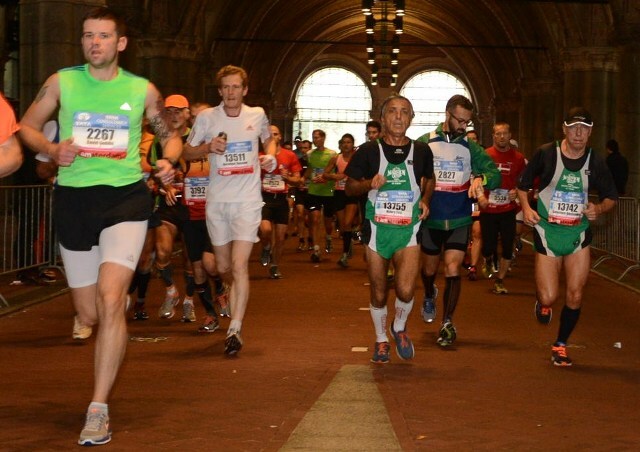 Tens of thousands of participants take part in marathons – London, New York, Berlin being some of the marathons that sell out months in advance. One needs to qualify to participate in the Boston marathon. Taking part in a marathon gives rank amateurs the grand pleasure of competing against highly skilled and proficient professionals. Training takes more or less three to six months, depending on one’s fitness level and one’s ambitions. I have run three half-marathons. My times have been 1hr30, 1h32 and 1hr35. The second two, both in Macau, are approximate times. 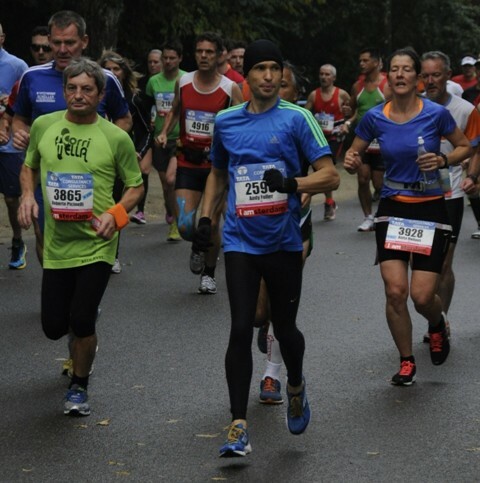 Curiously, there was a mistake in the course and the runners ran an extra one or two kilometres. I ran a 10km race in Leiden in 2011 and my time was 42minutes. This was my first attempt at amateur competitive running. I’m no champion and will never be. But, long-distance running is something I feel I’m capable of doing and improving at. Running provides a structure. My running is a long term project and I can take it to wherever I am living. In January 2013, while in Melbourne, I joined a running group led by Campbell Maffet – an elite marathoner and long-distance runner. Since deciding to train for the Amsterdam Marathon (20th October), I have used the training plan that he has devised for his running group – Love the Run. This schedule involves a range of running exercises: a medium paced 12km run, intervals (shorter distances at faster paces), ‘diagonals’ (varying between short and fast) and long runs (probably over 20km). There are, no doubt, other complexities to his training regimes. But, doing this at a distance, means I have to train by approximations. Campbell also recommends cross-training. But, the kind of cross-training is left up to the individual to decide upon. I have emailed Campbell regularly over the last eight weeks (roughly), since I decided to do the Amsterdam marathon. Being in touch with Campbell has given me a sense of training with a group, even if I have been doing the training along the Southern Ring Road in Yogyakarta, while the group trains along the Yarra River in Melbourne. The Southern Ring Road is used by intercity buses; there are many shacks servicing the bus drivers and passengers. There are travel agencies with names of possible destinations and the kinds of transport available to get there. Since starting to train for the Amsterdam marathon, I have lost roughly 5-6kg, from a starting weight of around 62kg. I have used Noom Android App to log my meals and have been using Cardio Trainer to log my exercise. I did more than double the amount of exercise in August as I had done in July (based on the number of calories burnt). And, I ate much less than what I had been previously eating. I switched from white rice to brown rice and ate a lot of raw vegetables and much fruit. My weight has now stabilised and I feel that 55kg is probably the best weight for my running. I feel that I move more quickly, lightly and with better technique and balance. Over the past six years, I have been exercising regularly. I started karate about five years ago and did it for two years. I did my best to get the most out of it: but, I found it to be insufficiently taxing in terms of physical exertion. I also didn’t enjoy the formalities of the class. The classes were serious and there was little laughter; it was a protected medium, in which the sensei was revered and it was discussed in the hushed and respectful terms of ‘martial arts’. I was looking for something more like a competitive sport – in which one’s progress wasn’t halted by the colour of one’s belt. I would run once or twice a week during this time. When I moved to Indonesia in 2010, I started Muay Thai. I found this more challenging in terms of fitness and technique. It also had less formalities than karate and was thus more enjoyable. As a fighting technique, I also found it more practical and easier to learn than karate. The movements were more natural for the body; I felt more fluent learning Muay Thai techniques. Karate seemed rigid by comparison. I became convinced of the virtues of Muay Thai as a sport and bodily practice. I have trained for Muay Thai in Indonesia (Jakarta and Yogyakarta), The Netherlands (in Leiden and Amsterdam) in Melbourne and in China (Macau SAR). Running is a necessary part of Muay Thai training. I became proficient at sparring; but, I also realised that I didn’t want to fight competitively. 36 is not the age to start doing this, I thought. Running gave the opportunity of competing at an amateur level. Since deciding to train for the Amsterdam marathon, I have stopped Muay Thai training – even though it is my favourite sport to play. I run five or six times per week: starting from the south in Yogyakarta. I start from near the intersection of the Southern Ring Road with Jl.Parangtritis. I’ve adopted several routes. The Ring Road has some rice fields; but there is also much rubbish. The buses pass and exhale their thick exhaust. I run north towards Universitas Gadjah Mada and beyond to the Northern Ring Road and sometimes beyond. There are other runners at UGM; some running, some walking, some shuffling. I run to the east along the Southern Ring Road and Eastern Ring Road, towards the over-pass that leads to Jl.Solo and the Adisucipto airport. The noise from motorbikes and buses is indeed unpleasant; but, I’m a runner along a main road – I can’t complain. I’m happy to have the space. I use a soccer pitch – Lapangan Minggiran – to do my diagonals training; I run from one corner to the next and then slowly along the short ends. A man burns leaves on the side of the footpath. It’s not yet 6am, and this quiet quarter of Yogyakarta, is already polluted with unnecessary smoke. I sometimes run south to Parangtritis Beach: ‘hello Mister’, I hear. These are my long-runs: probably around 25km. One time, a man who was waiting at the side of the road to direct traffic towards his hotel or restaurant told me, ‘strong man’. Sometime later, a staff member of the local supermarket asked me if I run often to Parangtritis. I run intervals along the Southern Ring Road between Jl.Parangtritis and Jl.Imogiri Barat. This is a distance of about 900 meters. A newspaper salesmen smiles and gives me the thumbs up. A becak driver shouts his encouragement. Another man looks at his watch as run past him and he gives instructions; pretending to be my coach. I start to run at around 5:15am. The security guards at near my house ask, ‘where are you going today?’ The early start is to beat the traffic and the pollution. Nonetheless, from 6am, many people are already burning rubbish on the sides of roads. On weekday mornings, I make sure that I am finishing by 7am. Any later and the traffic is too busy, particularly coming south along Jl.Parangtritis. The footpaths are uneven and have many holes: it’s preferable to run on the side of the road. A runner’s pace is not dissimilar to that of a becak or dokar or of course the slow moving car and motorcycle traffic. Going north in the morning, I run past the Pasar Prawirotaman –it’s just coming to life. On the way back, at 6:45, it’s a reason for a traffic jam. I dodge motorcyclists as they pull out from the curb. Parking attendants whistle to give instructions; a runner is invisible and is given no priority. Occasionally, while running along The Ring Road Selatan I find a cyclist whose pace is just a little faster than mine; I push myself to catch up to him. On other times I catch and run past dokars as they wander slowly up and down Jl.Parangtritis. Sometimes there’s a comment from one of the passengers. Yogyakarta is not ideal for running training. But it is possible. The noise from motorbikes and buses is disturbing. Often they drive dangerously. The uneven footpaths and unsealed roads are hazardous. My shoes are dirty – beyond their age. But, if one wants to run, one can do it. Running is no doubt more pleasant with others: both as encouragement, as a social engagement and for support. One learns from others – whether it be through direct coaching, observation or the sharing of stories about one’s running and training. We run in our own context and for our own purposes. Running is simple and repetitive: it is a basic training in its self or for other sports. Marathon training in Yogyakarta requires its own learned patience and knowledge of the appropriate routes and distances. Running seems a simple activity; something that can be done almost anywhere and in any context. Yet, the kind of running one does – creates, perhaps – is inseparable from its context. Running is a spatial practice; an engagement with its urban landscape.